The Continuous Performance Improvement (CPI) Journey. Creating High-Powered Healthcare Improvement Engines. What We Need Most We Can't Buy: Leadership and Culture Change Engaging Everyone in a Patient-Focused Culture. Transforming Doctors into Change Agents. Clinicians Engagement: CPI Applied in a Not-So-Touchy-Feely Environment. Ending the Paper Chase in the Operating Room. 5S and Demand Flow: Making Room for Continuous Improvement. Developing and Implement Pull Systems in the Intensive Care Unit. Delivering Compassionate Care through Clinical Standard Work on Rounds. Developing Standardized Inpatient Care for Patients. Change that Nourishes the Organization: Making the Totl Parenteral Nutrition (TPN) Process Safer. Eliminating Mistakes-Central Line-Associated Bloodstream Infections. Balancing the Line in Outpatient Pharmacy. Making the Right Call: The Everett Clinic Registration to Cash Value Stream. Working hard to Improve Work Flow in the Lab. Rapid Changeover in the Operating Room. CPI in Basic and Clinical Research. Integrated Facility Design at Seattle Children's Hospital. Leading Cost Reductions in Healthcare. Back from the Brink: The Jefferson Heatlhcare Turnaround. Success in Clinical Standard Work as Part of a Lean Effort. Integration of Lean Healthcare and Safety. Joan Wellman has spent over twenty-five years consulting to large scale change initiatives in the aerospace, telecommunications, high technology, energy and healthcare industries. 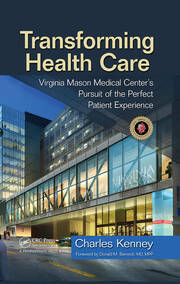 She pioneered the application of Lean principles in healthcare starting in 1995. 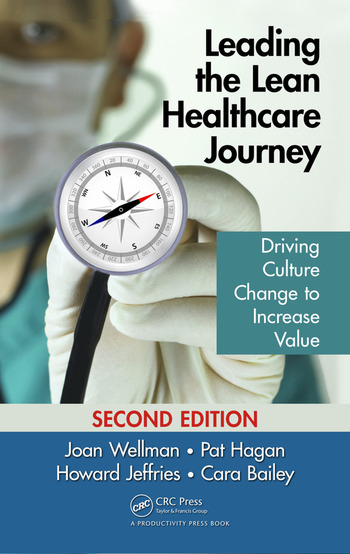 Joan is a frequent speaker at national conferences, including Organizational Development Network, American Society for Training and Development, MGMA and the National Association for Healthcare Quality. She has served as a guest speaker for the University of Washington Executive MBA program and has served as adjunct to the faculty of San Francisco Graduate School. Patrick Hagan was President and COO of Seattle Children's Hospital prior to working at JWA. He has a Masters degree in Hospital and Health Services Administration from the University of Michigan in Ann Arbor. Pat helped developed and led Seattle Children's Continuous Performance Improvement (CPI) strategy for over 10 years. Modeled on the Toyota Production System, CPI has been instrumental in Children's success in improving its performance in service quality, clinical access, patient safety, staff engagement, and financial results. He has presented at national meetings on building successful physician/hospital relationships, continuous performance improvement, and the importance of staff and physician engagement.